Annie Ottey, the box-owner of Crossfit Raeda, is giving us a little insight into what happens at her BOX! Enjoy another episode of our Europewide BOX interviews. Through Olympic Weightlifting. On holiday in Australia I visted CrossFit Byron Bay to train for the British Masters WL competition and tried the CrossFit – I loved it. 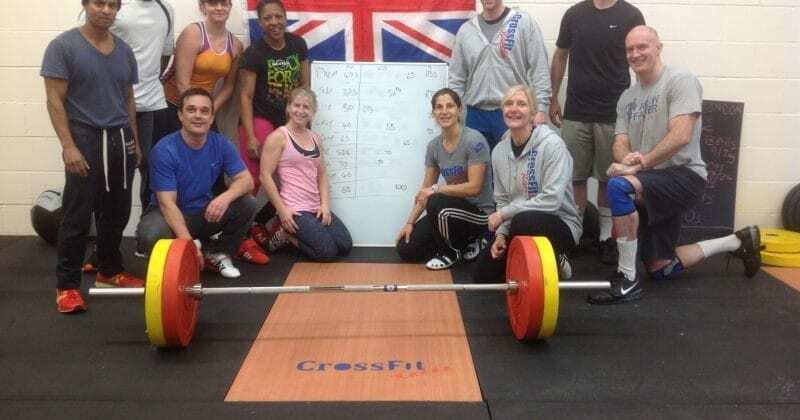 We also meet a lot of CrossFitters as they attend our courses to learn weightlifting skills. I’m getting older now (nearly 50) so I don’t lift as heavy as I used to but CrossFit has been great for me! My husband and I are accredited strength and conditioning coaches. We love to coach. We have worked with elite athletes at universities and my husband went to the Olympic Games with Team GB British Handball squad. We have always wanted to train everyone in the same way we train elite athletes. CrossFit is a strength & conditioning programme for everyone which is perfect for us! Like I said, we love to coach. We’ve been doing it for over 20 years. We believe training should be fun and make you feel good. We create a friendly environemtn and most importantly, our experience means we know how to correct your technique and teach you how to train hard but safe. We have only been open a week. We have about 20 members already, mixture of male and female, generally between 25 and 45. 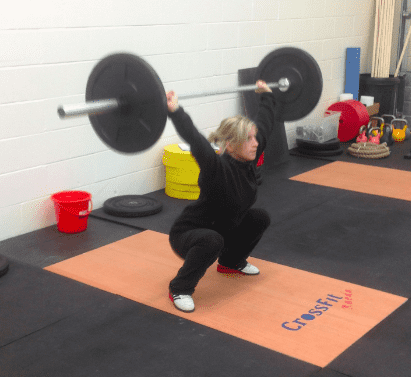 We hope to attract older people too and we have some competitive athletes using our open gym and weightlifting sessions to do their own training. We hope to enter a team in the London Lifting League to encourage our members to improve their Olympic weightlifting skills. We have some members worked on specific nutrition goals, my husband holds a degree in Nutrition so we plan to hold seminars and help our members to achieve a clean and sensible approach to nutrition. At the moment beginners join our general sessions but we encourage them to come along to our weekend taster sessions when we can focus on basic movement skills. We scale our workouts so we ensure that no one is given something too technical in their first weeks. We plan to have friendly competitions with other local boxes, we also want to hold weightlifting competitions. We are close with CrossFit Battlebox in Newbury Park, they are also a new box and we find it helps to talk about our progress and plans. We are also in contact with two local boxes and plan to arrange friendly throwdowns. DEFINITELY! We welcome visitors. Check out our facebook page CrossFit Raeda or our website www.crossfitraeda.co.uk and use the contact form.